Building off of our DC Water deal, we are looking for two municipalities to issue the next Environmental Impact Bonds (EIBs). Through our partnership with Neighborly, a firm that is modernizing public finance through its online broker-dealer, these will be the first EIBs to be publicly placed. If you are a representative of a city agency, utility, water authority, or sewer authority, we want to work with you, and encourage you to read through our materials and respond to our Request for Proposals below. An Environmental Impact Bond (EIB) is an innovative financing tool that uses a Pay for Success (PFS) approach to provide up-front capital for environmental programs, either to pilot a new approach whose performance is viewed as uncertain or to scale up a solution that has been tested on a small scale. In its most basic form, private investors participating in a PFS model pay the upfront costs for deploying these environmental solutions. Following deployment and program evaluation, the “payor”, the public agency or private institution that benefits from these solutions, makes a repayment to investors linked to the achievement of agreed-upon outcomes of the program (such as avoided stormwater runoff). How will this benefit my city? By shifting downside risk from the public sector to private investors, EIBs enable cities to pilot and scale innovative resilience solutions while protecting their capital budget, taxpayers, and rate base in the case of non-performance. At the same time, through the monitoring and evaluation process used to determine performance outcomes, cities gain valuable data on the cost-effectiveness and replicability of these innovative programs. 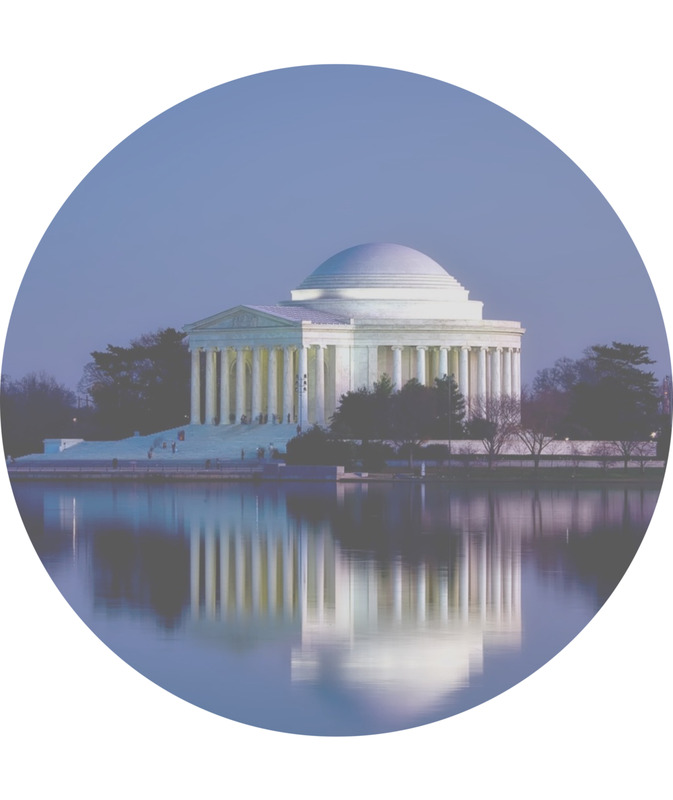 For example, in September 2016, we structured an EIB with the Washington, DC Water and Sewer Authority (DC Water) to finance green infrastructure in support of its stormwater management goals and EPA consent decree obligations to stem water quality issues from Combined Sewer Overflows (CSOs). Recognizing the potential cost-effectiveness of green infrastructure (GI) compared to traditional grey infrastructure and the environmental, economic, and health benefits it provides, DC Water had GI projects planned and ready to go. However, they lacked capital to deploy those projects and were concerned about taking on debt, given that green infrastructure hadn't yet been tested in DC. Through the EIB we issued, DC Water is piloting green infrastructure on 20 acres and pays interest near its municipal bond rate, but is protected through a performance payment from its investors if the project fails. If the project exceeds expectations, DC Water will compensate its investors, with the performance payment made in the other direction, but it has then demonstrated the cost-effectiveness of GI, and its ability to reduce spending in its capital improvement program by scaling GI projects. No fees will be charged by Quantified Ventures or Neighborly for their services (all other typical deal-related expenses may apply, including rating agency, bond counsel, and municipal advisor fees). EIBs require stakeholder engagement across entities and present opportunities to engage new partners, such as community foundations. Quantified Ventures identifies, coordinates, and aligns relevant stakeholders during the structuring process. Neighborly will develop the specific legal documents that are required to convert general obligation and revenue bonds into EIBs, saving the city on additional legal fees. The EIB model allows cities to test green infrastructure or other innovative solutions aimed at building the resilience of vulnerable communities. Through Neighborly's platform, cities can attract new retail and institutional investors, including "place-based" investors empowered to finance the development of their own communities. Neighborly also helps cities market their bonds, creating broader demand. Coupon rates, number and coverage of performance cases, principal exposure, and payment guarantees can all be tailored to suit the context and needs of a particular city. 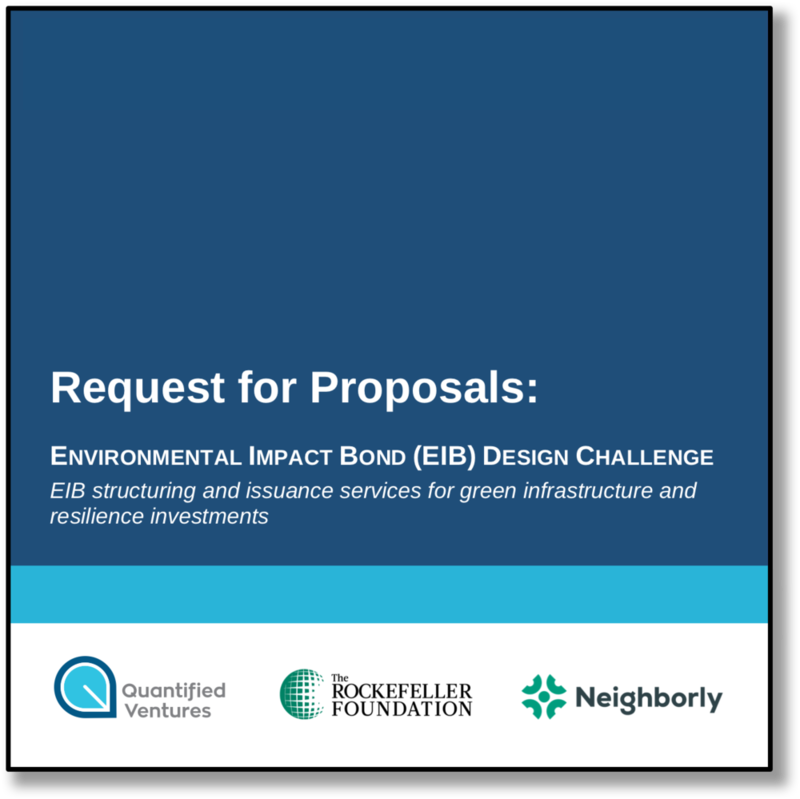 We are looking to work with city agencies, utilities, water authorities, or sewer authorities in the United States who have resilience projects that are far enough along in the design and planning process to issue an EIB and commence work by the Fall of 2018. We will give preference to green infrastructure projects for stormwater management, but we encourage and will consider all proposals for a project or suite of projects that support the Rockefeller Foundation's goal of building resilience in vulnerable and low-income communities. Sign up below and review our Request for Proposal materials above to learn more, express interest, or get in touch.